Will Anushka Shetty’s ‘Bhaagamathie’ Movie Over Shadow Anushka Sharma’s ‘Pari’? The trailer of Anushka Shetty’s much-awaited Telugu horror film ‘Bhaagamathie’ was released yesterday and it’s super scariest and thrilling. The two-minute trailer will take you on a gripping ride. The actress plays the role of an IAS officer and actor Unni Mukundan features as her lover. The plot of the movie is such that Baahubali actress Anushka Shetty loses her lover(Unni Mukundan) to a gun shot and she gets jailed for the crime which she never committed. Later Anushka gets transferred in a haunted house to observe paranormal activities and where she experiences extreme paranoia. Directed by G Ashok and boasting Thaman S’ intriguing background score, ‘Bhaagamathie’ also stars actor Jayaram in a pivotal role. The film is all set to release on January 26. Now coming to Anushka Sharma’s upcoming movie release ‘Pari’. 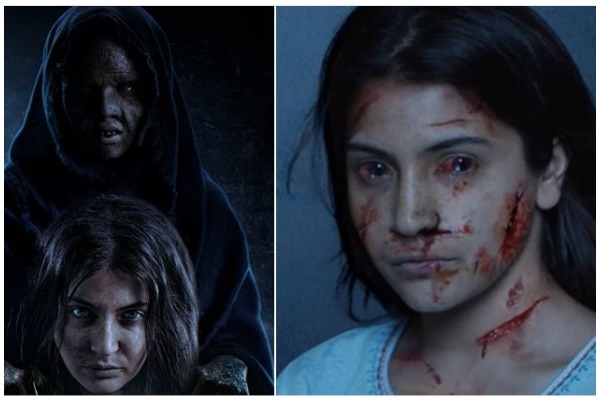 Just a day after Bhaagamathie teaser, the makers of Anushka Sharma starrer Pari released the first motion poster. Chances are that you might have sleepless night watching that spooky teaser. The teaser has been released at the perfect timing along with the official release date that is on March 2. That’s not all; Anushka Sharma is getting rave response for trying different and challenging roles. Directed by Prosit Roy, the film also stars Parambrata Chatterjee and is slated to release on March 2, 2018. Talking about both the teasers, Bhaagamathie teasers shows that Anushka Shetty is inflicting pain upon herself, which is something similar to Anushka Sharma’s Pari. Anushka Sharma is not playing a ghost in the film but she plays an abuse victim. However, the teaser shows it is going to be scary like any paranormal film. Both the actresses are all set to rule 2018 with their spookiest avatars in their respective film. The plot of both the films might look quite similar but seemingly, there’s a lot in the store from ‘Bhaagamathie’ and ‘Pari’. Yet the trailer of Pari movie is awaiting. However, Anushka Shetty’s Bhaagamathie movie is set to release on 26 January 2018 before Anushka Sharma’s Pari releasing on Holi, 02 Mar 2018. 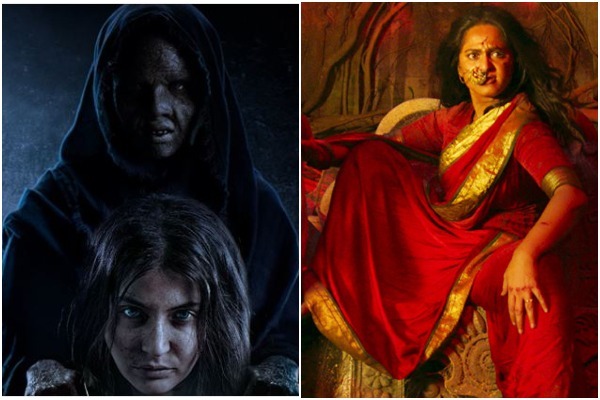 What do you think, Anushka Shetty’s Bhaagamathie will eclipse Anushka Sharma’s Pari? Share you thoughts with us and help our audience to decide which movie is best to watch. Previous : Inside Photos: Abhishek Bachchan, Aishwarya Rai Bachchan’s New Rs 21 Crore House!